I have been waiting for almost two years to do this refashion. I stumbled on this beautiful crochet tube dress and bought it without a second thought. It was only $10 and I happened to be shopping in Houston (a rarity when I lived in South Texas) and I just couldn't help myself. Did I need a mini tube dress? No. Could I see it's potential as a pencil skirt? Yes, I sure could. 2. cut off the bodice. 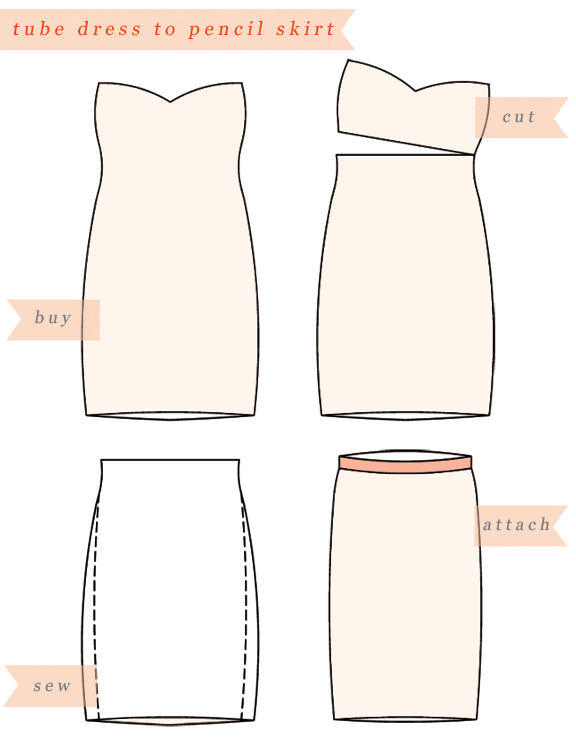 3. turn inside out & sew a straight line. 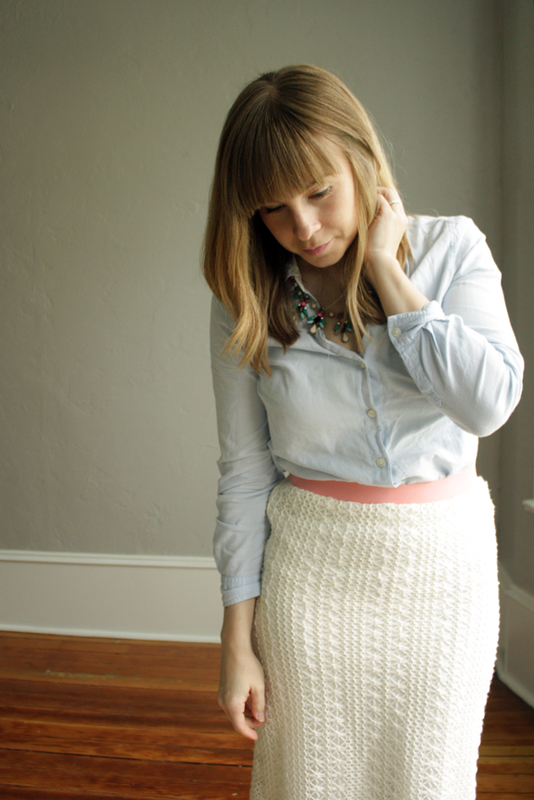 4. using this tutorial, attach elastic to the waist band (I buy mine here). I just love the texture and lightness. I think I know what I am wearing on Easter. Have you made anything lately? Leave a link! Oooh, I LOVE this! 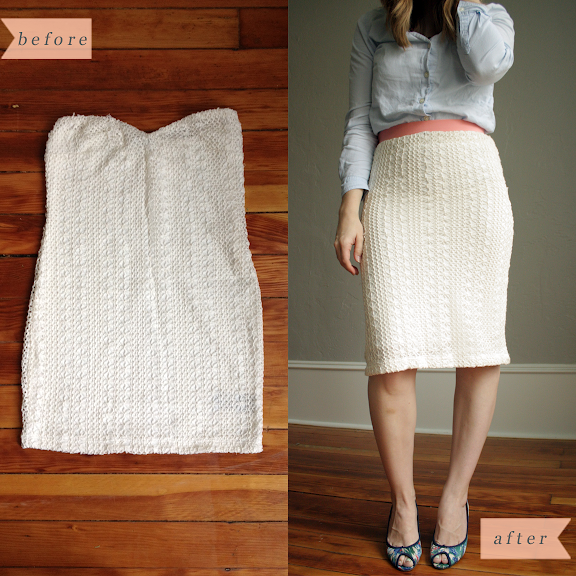 So pretty, and such an awesome refashion! Let me know what you think. We'd love to have you!